a closeup of my cheek, right side. 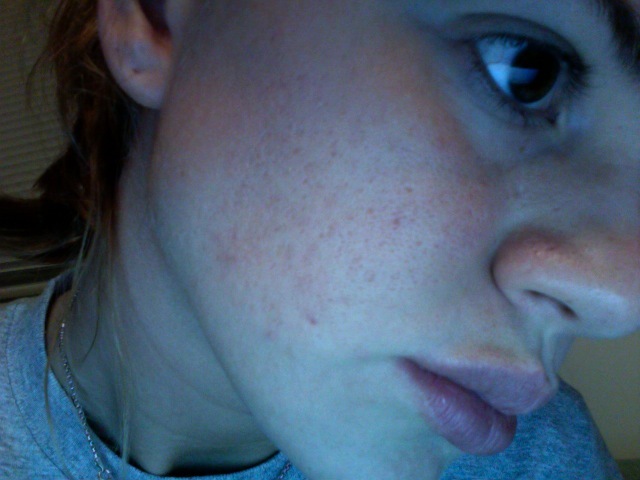 you can see the scarring and discoloration above my jawline and cheek area. this should all be corrected with multiple microdermabrasion treatments(clinician said a minimum of 5 but i will do 50 if it will get me moviestar skin!!!) plus my new glycolic acid wash and lotion to stop further breakouts and unclog pores. Let me know how microdermabrasion works for you. I had one done and it gave me a small flare up of pimples and red marks. So haven't done one again.